The Looking Glass Wars by Frank Beddor is a book that has been on my shelves for far too long. I bought it on Celia's recommendation a couple of years ago when she was out for a visit in Seattle. I'm glad she got me to pick it up because it was a fun read, especially for a Wonderland fan. It was quite loosely based on Lewis Carroll's classic stories (Alice's Adventures in Wonderland and Through the Looking Glass) and on his (Charles Dodgson's) life and I thought it was an interesting and fresh take on the Wonderland story. I'm not sure if I will continue on with the series (too many books, too little time) but I wouldn't be against picking up the second book -- Seeing Redd. There are also the Hatter M graphic novels that I might try out. ... it is set in a future in which everything has happened. Everything that earlier generations were warned about, yet chose to ignore. Continents are isolated, global communication non-existent, poverty and disease rampant. America has become a country of powerful city states, separated by the barren Wilds, where people struggle to survive. Sam Cooper’s parents took him to the Wilds when he was five, now he’s seventeen and alone, driving the empty roads, scraping by. But something has been watching and waiting. Waiting for the moment when Sam would leave the Wilds and visit a city state. Sam will need everything he learned in the Wilds if he hopes to survive, and he’ll need something else too: the beautiful, scary Maori warrior, Alma. 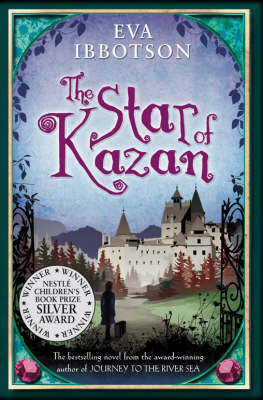 On the plane ride over to Maui (6 hours from Seattle), I read a pretty large chunk of Eva Ibbotson's The Star of Kazan. It was only the second of her books that I've read that wasn't a children's ghost story (the first was Journey to the River Sea) and I pretty much loved it. I am incredibly happy that I have so many of her books still ahead of me. 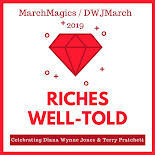 It almost makes up for the fact that I'm nearly out of new Diana Wynne Jones books (almost but ... well ... not really ... ::small sob::). This story had a lot of great elements and I didn't have any problems with it until right at the end. The main character, Annika, makes a choice that I guess is a good example for children of being forgiving and kind but I really wanted her to go the revenge and prosecution route! Anyway, if you have a favorite Ibbotson book that you think I should read next, please let me know in the comments. I own a few more spooky titles but that's it. And, happily, my library hold finally came through on Clockwork Princess, the final book in Cassandra Clare's The Infernal Devices trilogy. I made it through some tragic situations in the book without even a sniffle until I hit one certain part and, well, I hope they don't mind that I'm sending back this library book with a few tears in it! This was a great end to the story and I thought all of the characters were treated fairly. My only complaint is probably that the action/battle parts of the story all seemed a bit rushed but, by the end, I didn't really care about that. 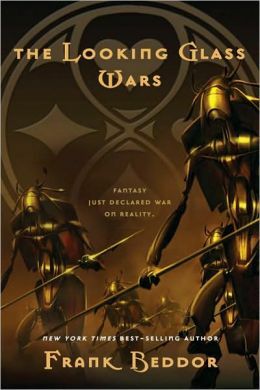 I read the first Looking Glass Wars book a few years ago and remember really liking it. I too have not continued on with the series for much the same reasons, too many other things to read. I thought the book ended nicely and even with some lose ends felt like enough of the story that if I don't get back to the trilogy I feel satisfied. The covers for that Cassandra Clare series have been uniformly gorgeous. I'm glad I'm not alone on feeling the way I do. I think there's a chance of a film so we'll definitely have enough background to fully enjoy it now! Aw, all of Eva Ibbotson's books are totally dear. Journey to the River Sea is probably my favorite -- that one or The Firefly Pool -- but all of them are really sweet. I haven't read The Star of Kazan! I just realized that. 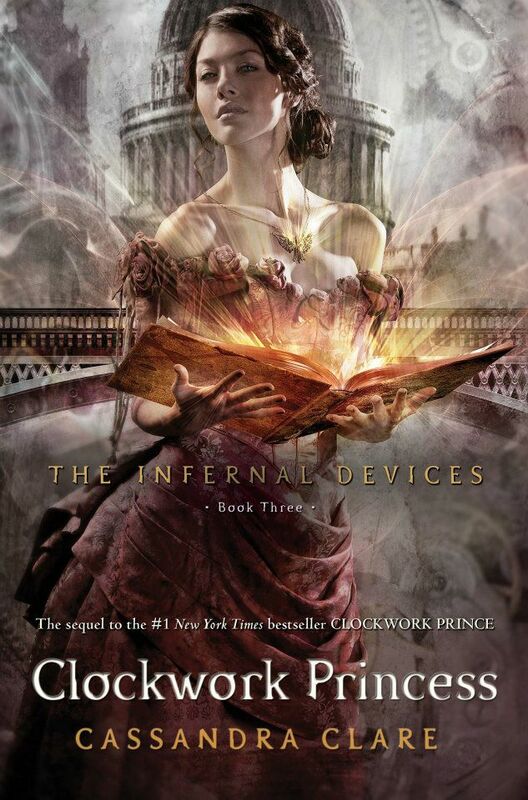 I cannot wait to read Clockwork Princess!! I have adored this series and that is why it has taken me so long to read it, despite the book sitting on my nightstand since it was released!! I just don't want it to end, especially now knowing that it is probably going to make me cry!!! !